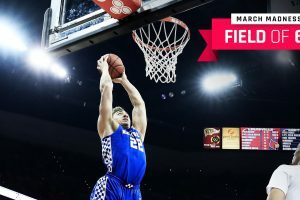 As we inch nearer to March Madness, we here at Sporting News are here to offer our best projections for the NCAA Tournament. As always with our Field of 68 bracket projection, we’re here to do our best to help you decide for yourself how your favorite team’s resume stacks up. This isn’t a projection of what the seed lines will look like on Selection Sunday, but it’s an educated guess at how the bracket would look if the season ended yesterday. Automatic bids (in parenthesis) go to the team with the fewest conference losses. In case of a tie, the bid is given to the team with the best NET rating.